Self temperature regulating capacitance manometer from HORIBA takes design award in innovation competition. 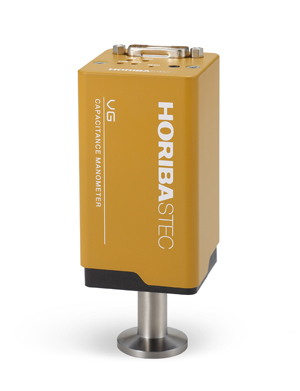 HORIBA has secured a prestigious iF Design Award 2018, in the ‘Product Design’ discipline, with its VG-200 series of self-temperature-regulating capacitance manometers, which are used in a variety of processing industries including pharmaceutical, food and beverage production and semiconductor manufacturing. This year’s iF Design Award received more than 6,400 entries from 54 countries. Entrants were judged by a panel of 63 design experts, who were paying special attention to function, reliability and innovation as well as product ergonomics and aesthetics. Believed to be one of the smallest capacitance manometers of its kind in the world, the VG-200’s temperature regulation is achieved through internal heating, which prevents gases condensing within the unit and potentially affecting pressure readings. It also minimises the risk of corrosion, all of which contributes to accuracy, repeatability and robustness. In addition, whereas competitive products tend to be cylindrical, the VG-200 is a quadrangular prism, which makes it easier to handle. Its case is manufactured using the impact moulding technique, to produce a single-piece robust case without seams or screws.